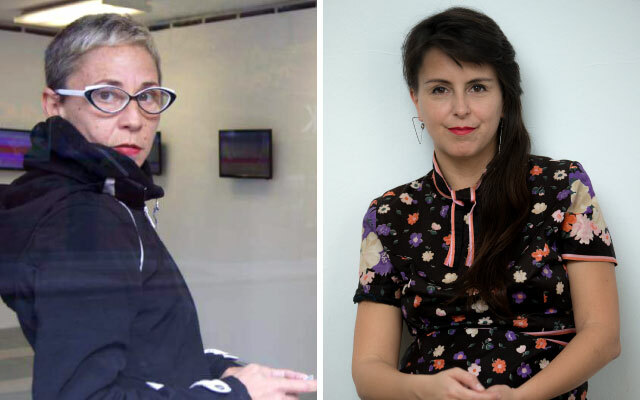 Arts + Public Life, in partnership with The Center for the Study of Race, Politics, and Culture (CSRPC), welcomes artists Marisol Plard Narváez and Glorimar Marrero Sánchez to Chicago this May, 2018. The two artists have been invited from Puerto Rico to the University of Chicago campus for a three month residency through July, 2018. Their residency is part of a series of initiatives launched by the University of Chicago to support members of the academic and artistic communities of Puerto Rico who have been severely affected or displaced by the physical damage and social devastation brought on by hurricanes Irma and Maria. This initiative aims to provide relief to students, scholars, and artists by allowing them to continue their work at our institution on a temporary basis. The program provides a range of support, including transportation, room and board, and other expenses. This initiative is the result of a collaboration between several partners at the University, including the Center for the Study of Race, Politics, and Culture, the College, the Office of Admissions, Campus and Student Life, UChicago Arts, UChicagoGRAD, The Graham School, and the Office of the Provost. and deepening understandings of race, class, gender, and sexualities and colonialism, as well as their interconnections and implications. Left: Marisol Plard Narváez. Right: Glorimar Marrero Sánchez. Images courtesy of the artists. During her residency, Marisol Plard Narváez will explore and discuss ideas about imposed citizenship versus the current U.S. administration’s new immigration laws. She will revisit the subject of displacement through an anthropological essay about her Colombian and Iranian friends that met and became a couple during school in Chicago. One was disinherited by her family when they found out about her sexuality; the other is unable to return to her native country since lesbian relationships are not allowed. They live in constant fear of deportation and cannot return to their respective home countries. She will explore the subjects of sexuality, displacement and colonialism through her new body of work. Marisol Plard Narváez was taught photography by her grandfather by documenting her family. At age thirteen, she began studies under the tutelage of photojournalist Alina Luciano for newspaper El Reportero and Claridad. With over twenty years of experience as a camera operator in the communications industry and first assistant cameraman in the film industry, she pursued her Bachelor of Arts with a concentration in Sculpture at the Escuela de Artes Plásticas de Puerto Rico and completed her Master of Fine Arts in Studio at The School Art Institute of Chicago in 2011. Her work captures obsessive, everyday images through a digital video camera or mobile device through the practice of everyday life, community works and new media and installation projects. She currently lives in La Barriada La Perla in Old San Juan. Glorimar Marrero Sánchez works in film, photography and sound. Her film projects include fiction, documentaries and video art that conveys narratives driven by female characters that take place in Puerto Rico or Cuba. Stories are created after conducting research and contain ethnographic and experiential elements. Her work connects with forgotten and repressed places and geographies in dialogue with issues related to grief, identity, collective psyche, women’s bodies, sickness and colonialism rooted in the shared Caribbean geography. She will use the time in Chicago to continue to embark on her first feature film La Pecera, a project that will illustrate the conditions of a female body in illness and the end of life, and will also highlight the environmental debacle in the lives of Puerto Ricans as a consequence of 60 years of U.S. Navy’s military practices in Vieques. Glorimar Marrero Sánchez holds a bachelor’s degree in Sociology from the University of Puerto Rico, and a Master’s degree in Communications from Florida International University. In 2012, she won Best Screenplay at the CINEFIESTA Puerto Rico International Short Film Festival, with Tokío (Official Selection of Palm Springs International Short Film Festival 2014 and CINEFIESTA 2014). Her second script, Amarillo (Yellow), was selected to Micros 2012. In 2016, she directed the short film Biopsia (Biopsia) (Best Director Award at the European Film Festival, Official Selection of Ícaro International Film Festival, Guatemala, and 21 Islands International Short Fest in NYC, in which the film received an Honorable Mention). She also directed the short film Todavía (Still) (Official Selection of International Film Festival of Gibara, Cuba, Youth Cinema Programming, Cuba, and Ícaro International Film Festival, Guatemala). In 2017, Glorimar directed Revuelo en la Roosevelt, a video art piece commissioned by the Institute of Puerto Rican Culture and the National Endowment for the Arts. She is currently working on the advanced development stage of her first feature length film, La pecera (Fish Tank) (Winner of the Unpublished Screenplay Contest of the 39th New Latin American Film Festival in La Habana, Cuba, 2017), in the post-production of Por el barrio, a documentary commissioned by the Museum of Contemporary Art of Puerto Rico, and in the development of other artistic and authorial projects. For more information about the University of Chicago Hurricane Irma and Maria relief initiatives, please visit: https://provost.uchicago.edu/initiatives/relief-program.